In this article I would like to share with you some of the best ways to increase blog traffic and build backlinks ! Best ways to drive huge traffic to your blog ! 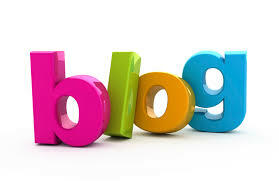 1 – Write well and often, try to update your blog at least every week. 2 – Set up a Facebook page for your blog. 3 – Comment on commentLuv enabled blogs. 4 – Write and submit articles to the best article directories such as Ezine articles and acme articles. 5 – Submit your blog to blog directories such as Bloggers and Bloglog. 6 – Write guest posts on sites with high traffic and related to your niche. 7 – Drive targeted traffic to your site by writing on Squidoo or hubpages. 8 – If you visit a blog on your niche don’t forget to comment and make sure you add a link back to your blog as a signature. 9 – Join and take part on forums be active and make sure you add your blog URL in the signature form. 10 – Set up a mailing list or newsletter for your blog using a free and useful tool called Mail chimp. 11 – Make YouTube videos for your posts and get free targeted traffic. 12 – Share your posts to Facebook and twitter. 13 – Submit your blog to Bing Google and Yahoo Directory. 14 – Submit your Blog to press release sites such as Free-press-release and PrFree. 15 – Join the best blogging communities such as blog engage and blokube. 17 – Tweet your articles to your followers. 18 – Call per action, always ask your readers to take actions like telling them to subscribe to your mailing list, asking them to follow you on twitter or just liking your Facebook page. 19 – Always reply to the comments on your blog to make your readers feel that you care on them. 20 – Give your readers freebies and giveaways every month like free E-books, downloads award the top commentators and encourage them to visit your blog more often. 21 – Run contests and giveaways on your blog and Increase your blog traffic and backlinks. 22 – Interact and make relationships with other bloggers. 23 – Make sure that your blog design rocks , so your readers will love your blog. 24 – Convert your article into pdf and share them on document sharing sites like scribd. 25 – Join Facebook group and promote your article every time you post. 26 – Join the best social bookmarking sites and promote your blog on them. 27 – Always try to improve your writing style so you can write better content that your readers would enjoy.